This morning I got a call from one of my friends who said that she wanted to decorate her home for fall season. 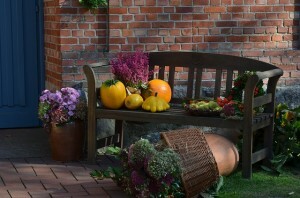 Normally she will set a yellow chrysanthemum on the table and a pumpkin by the door and be done. 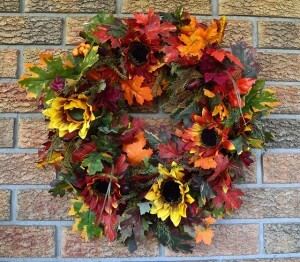 But since she had family coming for Thanksgiving she wanted to decorate her home with autumn colors. Her wants were simple decorating ideas that were not expensive. 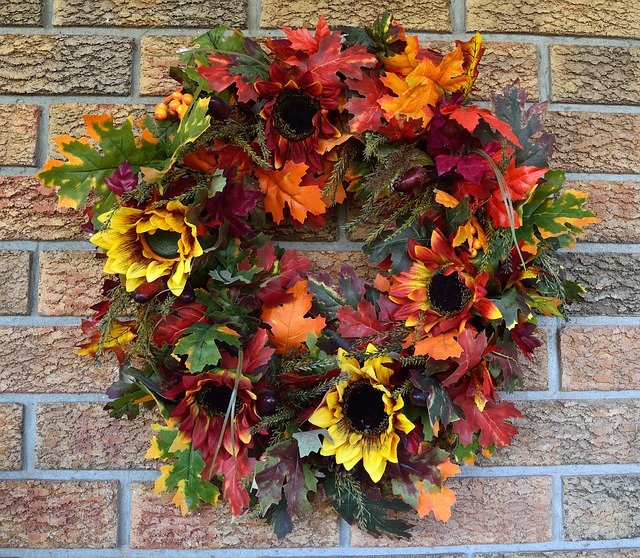 Also she wanted to decorate her home now and keep it throughout the fall season. We discussed her color theme for the decorations. The fall colors are warm and earthy; gold, orange, brown, copper or ginger. These colors will make the living spaces feel cozy and welcoming. 1. Add fall season color to your entrance by painting the feature wall (first wall that you see) a gold, ginger or pumpkin color. This wall is a focal area so decorate it with a wood framed fall season picture. 2. Decorate the foyer table with fall season floral arrangement. Optional small pumpkins or pumpkin spice votive candles in glass holders. 3. Add warm colors to your living room and guest bedroom by accenting your bed/sofa with copper print or fall leaves print throw pillow. Choose colors and fall patterns that will compliment your fall color theme. 4. Drape a coordinating sofa throw across the back of the sofa or on the side arm of accent chair. This throw will lend for a cozy feeling in the space. 5. Accessories the room with assorted autumn pumpkins potted mums, silk maple leaf garlands, swags, wreaths and make an edible cornucopia for coffee table or kitchen table centerpiece. 6. Optional add ceramic Thanksgiving figurines by Jim Shore or other quality country designs. These accessories will make the space more cozy. Do you decorate your home for Thanksgiving?